North Greenwich Area Guide - What makes North Greenwich so great? Where do North Greenwich locals go? Lots of quirky installations, a great little café and an ice cream parlour here too! Share your favourite place to go to in North Greenwich. 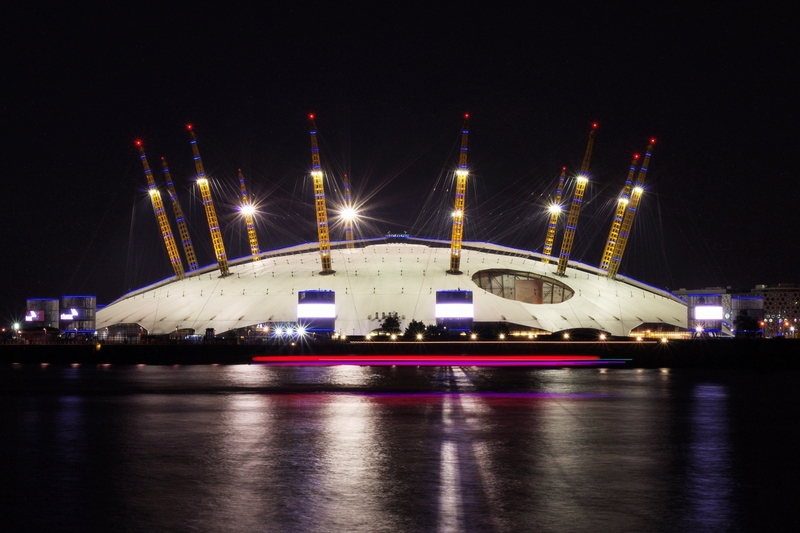 "In 2000, the Millennium Dome opened to the public. It was built to a diameter of 365m - a metre for each day of the year - and is the largest fabric structure in the world." North Greenwich (also known as the Greenwich Peninsula) is an area of South East London, England, located in the Royal Borough of Greenwich. The peninsula is bounded on three sides by a loop of the Thames, between the Isle of Dogs to the west and Silvertown to the east. To the south is the rest of Greenwich, to the south-east is Charlton. The peninsula lies within the Royal Borough of Greenwich. Formerly known as Greenwich Marshes and as Bugsby's Marshes, it became known as East Greenwich as it developed in the 19th century, but more recently has been called North Greenwich due to the location of the North Greenwich tube station. This should not be confused with North Greenwich on the Isle of Dogs, at the north side of a former ferry from Greenwich. The peninsula's northernmost point on the riverside is known as Blackwall Point, and this may have led to the name Blackwall Peninsula sometimes being used in the late 20th century. Landmarks include The Dome (also known by the current corporate logo The O2 and previously the Millennium Dome) and the southern end of the Blackwall Tunnel, but the area is now being substantially redeveloped with new homes, offices, schools, a college and parks. What are your favourite things about North Greenwich? Find out how much your flat or house is worth om North Greenwich. Feedback about living in North Greenwich has been submitted directly by the public and may not neccessarily reflect the views of Foxtons. The description of North Greenwich was modified from Wikipedia and is available under the Creative Commons licence. Land Registry data is Crown copyright. All the views and contributions contained within Foxtons Local Life are those of the contributors. All content is assessed before publishing for taste, however free opinion is encouraged. Foxtons accept no payment or sponsorship for content that is posted about North Greenwich.